The Volvo Ocean Race’s overall leaders Dongfeng Race Team were at the head of the fleet on Monday as the teams passed the iconic Fastnet Rock off Ireland’s southern tip. With just under 24 hours of Leg 10 complete less than three miles split the top six boats as the light wind start to the penultimate stage of the race continued. 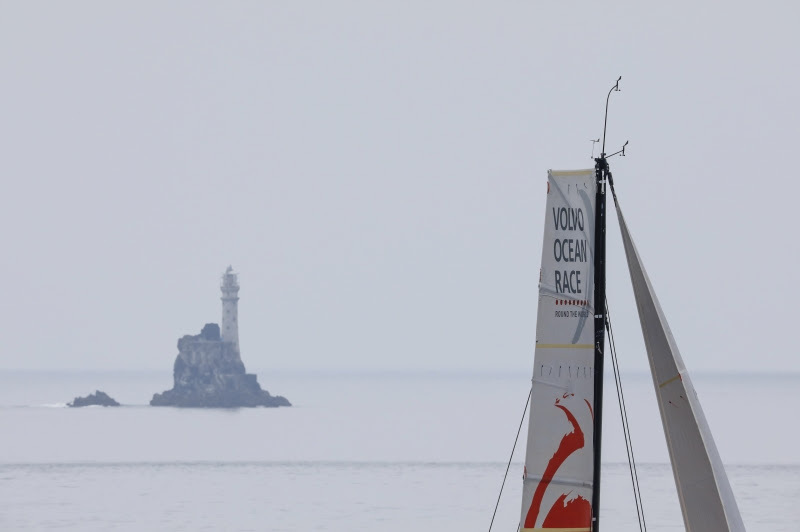 After clearing Fastnet Rock the fleet will pass Bull Rock and begin the turn right to start climbing up the west coast of Ireland in headwinds. The ETA into the finish in Gothenburg, Sweden is currently Thursday night.